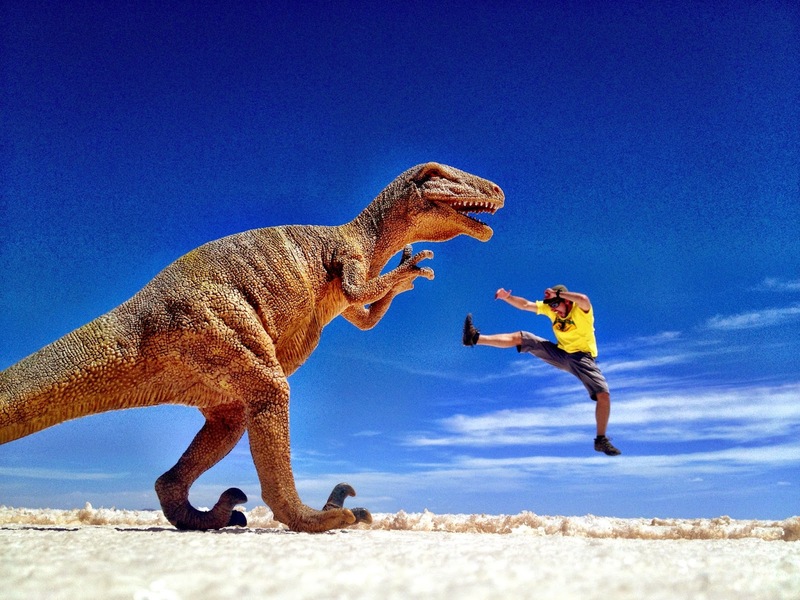 If you’re planning on visiting South America, and Bolivia in particular, I implore you to visit the Salar de Uyuni. It is a photographers playground. The Salar de Uyuni consists of over 4,000 square miles of salt flat, which started forming around 40,000 years ago when climate change dried up a prehistoric lake. The water from the lake eventually evaporated, leaving salt and minerals behind as a solid layer of white Blockbuster-style white hexagons. 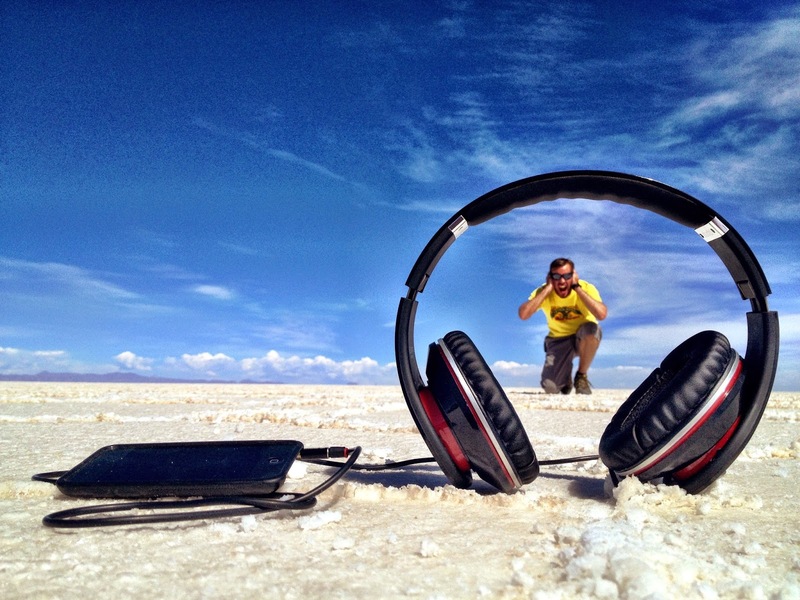 This crystal white surface, and the juxtaposed bright blue sky make the Salar de Uyuni incredibly amazing to view. 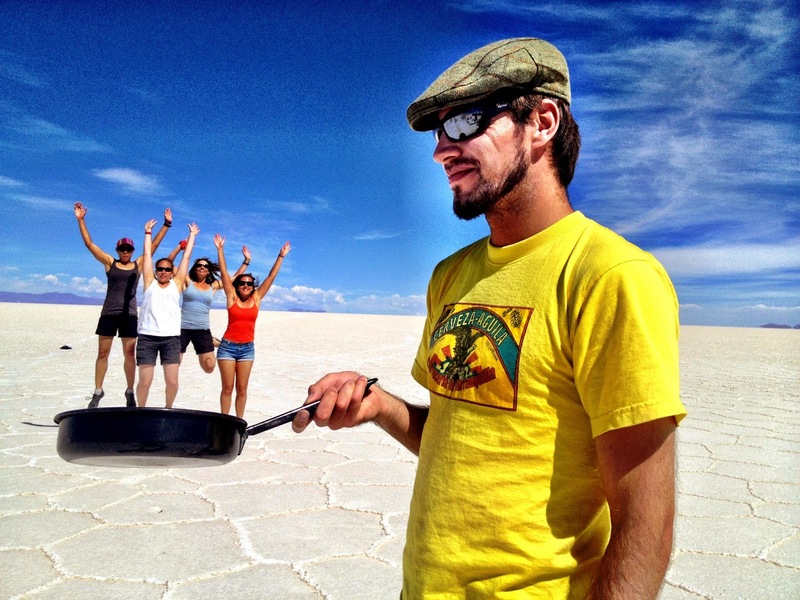 When you consider the fact there are miles upon miles of flat white salt flat, it presents a very unique perspective. 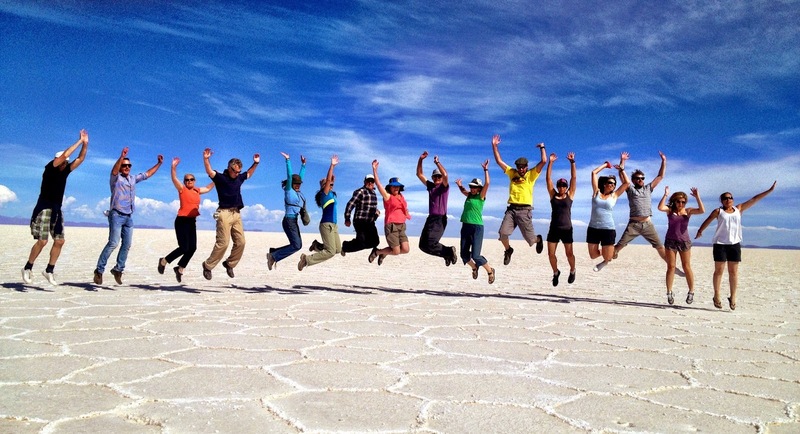 If you’re travelling from North to South, it is likely you will pass through the little town of Uyuni. Aside from a gated football pitch, a few shops and a narrow gauge train track, this town has a very wild west-style feel. Dusty, dry and fairly empty. The town has a small population, and that is usually tripled on a daily basis by tours and 4×4’s, making their final stop and fuel fill ups before heading out into the salt desert. 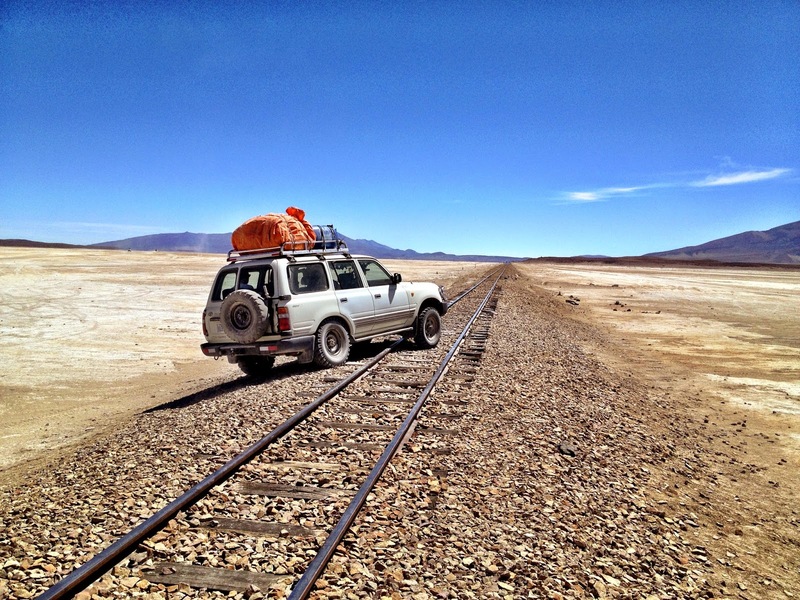 For those who have travelled through Bolivia and Uyuni, you will no doubt have stopped at the infamous ‘train graveyard’, or the ‘Cementerio de trenes‘. 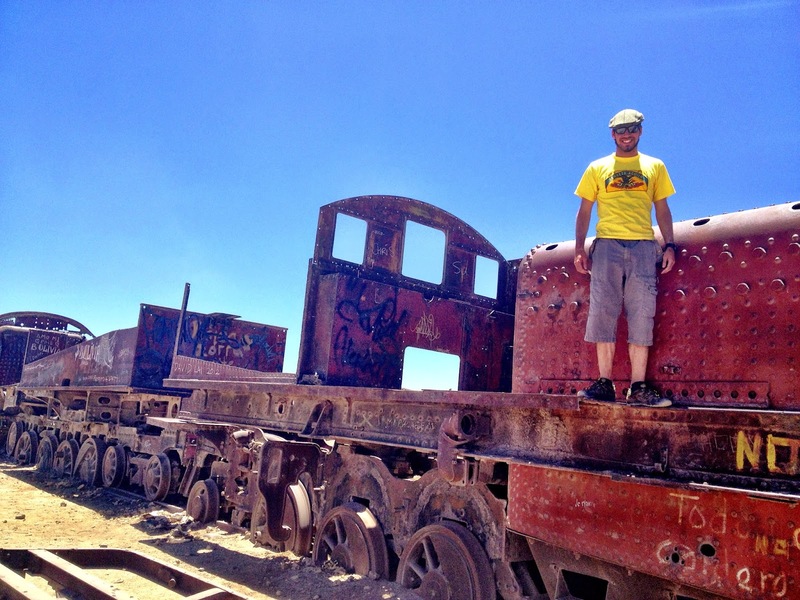 Located less than 3 miles outside Uyuni, the train cemetery was created in the 1940’s after the mining industry collapsed due to mineral depletion. The train cars are now rusted, but with sand, blue sky and rail tracks heading into the horizon, my eyes widened at some of the shots I was about to capture. I used an iPhone for my photography, and when I saw the photos on the big screen, my eyes were given a treat. Yes, I gave up fashion for travel comfort. Taking pictures of the old trains, and knowing the contrast of the yellow sand and blue sky would bring out some amazing pictures meant I had a constant smile on my face! 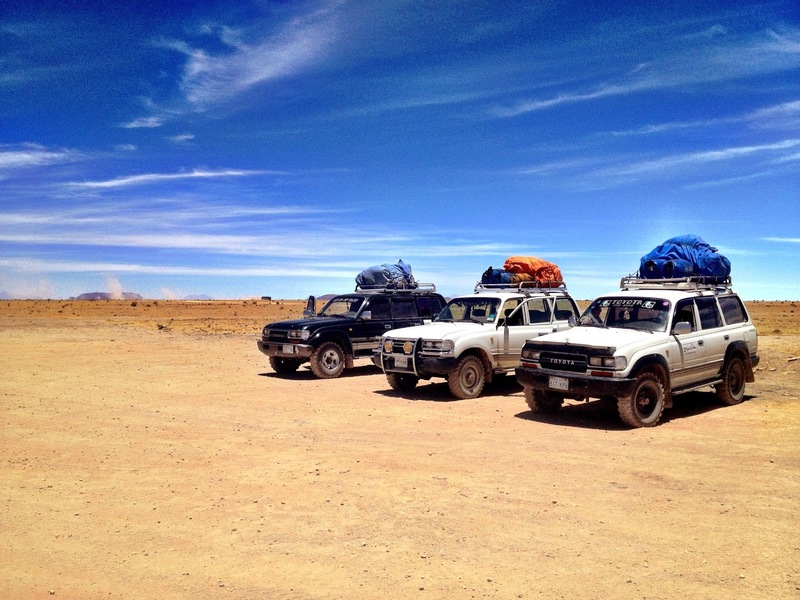 Driving to the salt flats takes around 2/3 hours from Uyuni, depending on how many stops the 4x4s take. This allowed me to take some more amazing pictures of our transport a long the way. It’s difficult to explain the feelings you have when you drive across the salt flat. Miles and miles of white salt floor meets the sheer blue sky at the horizon in every direction you look. 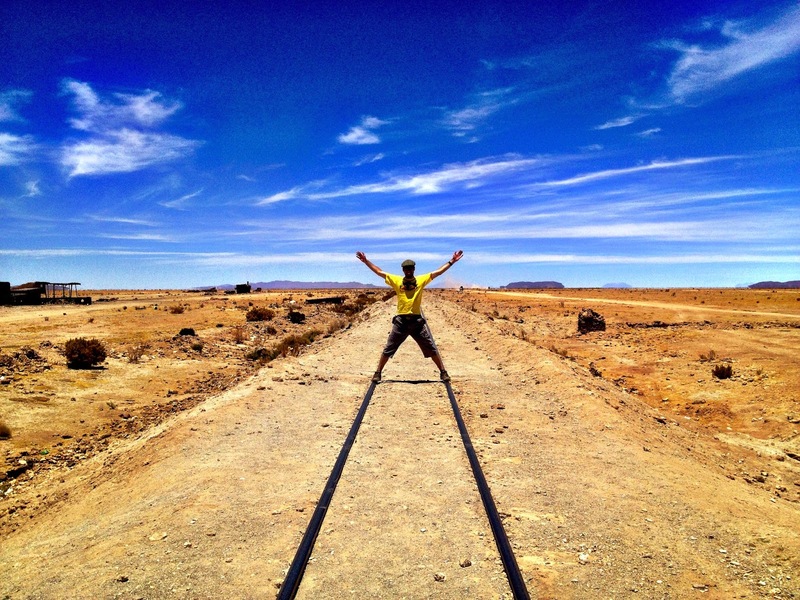 If I had fun taking pictures at the train cemetery, then the pictures at the Salar de Uyuni were on another level. Any accessory, shape, object or piece of fruit was used in our 2 hour group photography production. They are some of the best photos I’ve ever taken with the iPhone, and certainly the most fun I’ve had with travel photography. 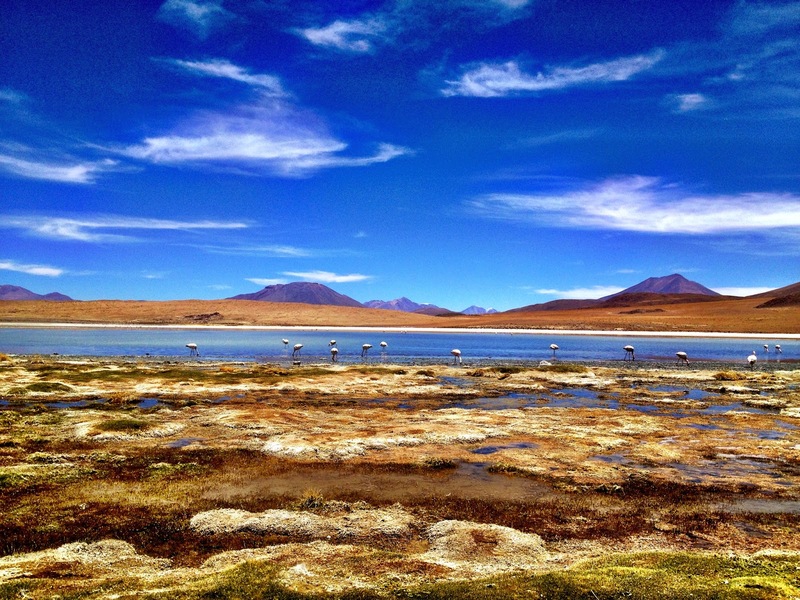 Right at the centre of the Salar de Uyuni lies ‘Isla Incahuasi‘, or Incahuasi Island. This small rocky outcrop is the remains of an ancient volcano, which was submerged when the area was part of the giant prehistoric lake. 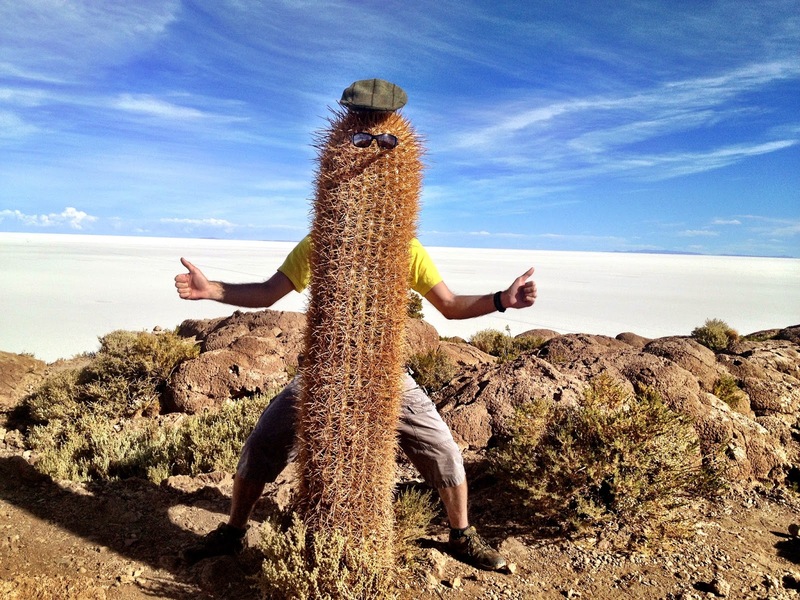 Standing on the top of the island provides a unique perspective of just how vast the Salar de Uyuni is. The island is covered by cacti, so provided more moments for photography fun. In true Inca tradition, a llama is still sacrificed each year, at the top of the small island. 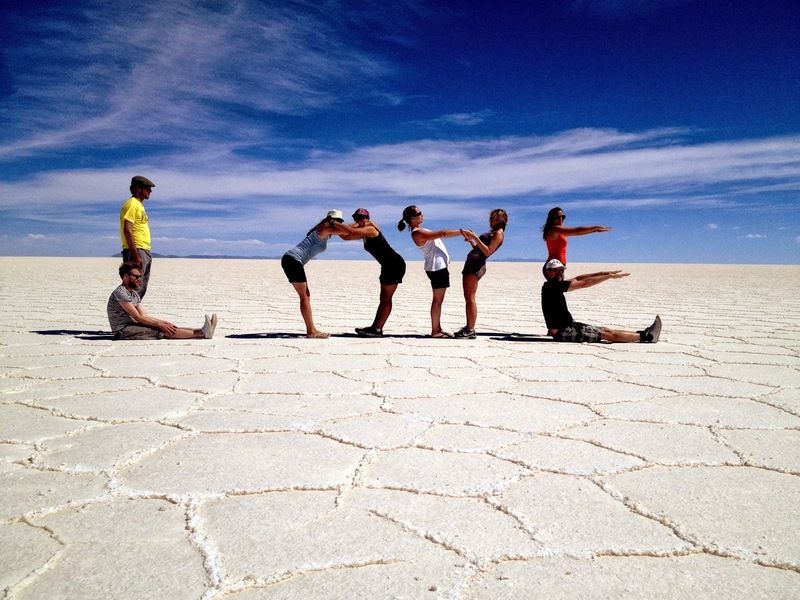 If you plan on visiting the Salar de Uyuni soon, post your pictures in the comments box below – I’d love to see your creativity in the salt flats! 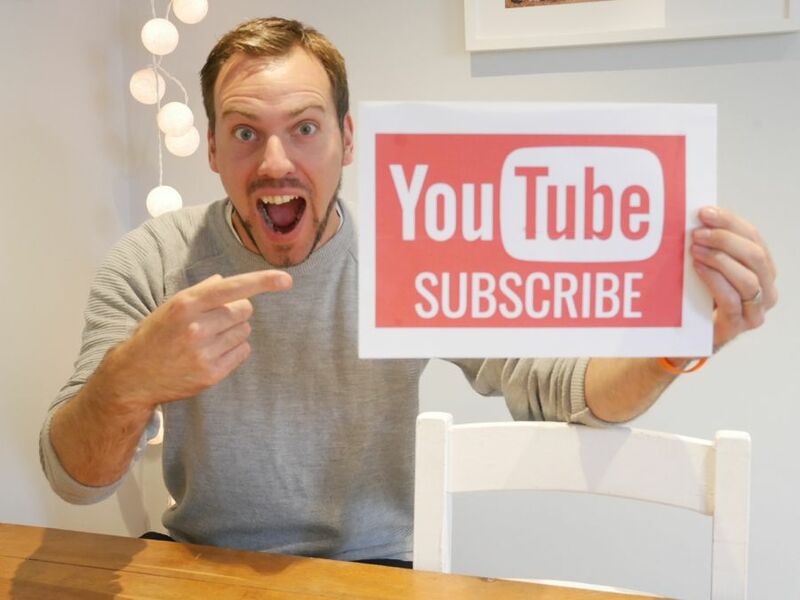 The Argentine Experience – Buenos Aires Bread Street Kitchen: Best Value London Burger?